The National Football League may soon find itself in another ugly public relations situation, and this time ownership may be at odds with the Commissioner’s office. That’s because the investigation into whether star running back Ezekiel Elliott has finished, but the results are such that, depending on whom you choose to believe, one can either claim he is guilty and deserving of an extensive suspension, or innocent and being railroaded. Making matters potentially worse is the fact that the woman who initially made the accusations is threatening to take her case far more public, and even file a possible civil suit. The only thing that is certain is that a year ago allegations were made that Elliott committed domestic violence five times over a six-day period. But he was never arrested, charged or convicted. However the NFL’s current personal conduct code allows the Commissioner to suspend any player for violations without charges being filed or convictions being reached. 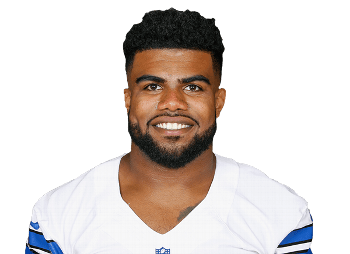 Elliott has not made any public statements about the case, and has since muddied the waters more by being involved in other instances of legal failings, though none were as egregious as the claims in the domestic violence case. Cowboys owner Jerry Jones stepped into the fray last week, proclaiming that Elliott was innocent. “I have reviewed everything and there is absolutely nothing – not one thing – that had anything to do with domestic violence,” according to ESPN. com. What Jones has or hasn’t seen is murky though, because the statement on record from the alleged victim definitely states that domestic violence occurred. But Jones indicates he and the Cowboys plan to stand behind Elliott, possibly even to the point of challenging a suspension if one comes from the league office. Most indications now are the NFL plans to suspend Elliott for at least one game, possibly two. Through her attorney, she is threatening either full disclosure of the event, a civil suit, or both. The NFL has already been embarrassed over this issue last year when it was determined that the New York Giants had given kicker Josh Brown a two-year deal despite knowing in advance that he had engaged in domestic violence. Both the Giants owner John Mara and Brown had to publicly acknowledge Brown’s participation, and the league eventually suspended him for one game, though they didn’t void the contract. There are two separate, though equally thorny issues, in the mix here. On the one hand, does the NFL have the right to suspend players who haven’t been arrested or convicted of anything solely due to the allegation? The Commissioner’s office argues that the behavioral clause in the current CBA allows them to act whether there has been a conviction or not because anyone who gets themselves into a situation where there are possible legal consequences has by definition violated that conduct clause. On the other, domestic violence has become such a hot button issue that in many folks’ eyes the allegation enough is proof of conviction. The fact that many abused women hesitate to file charges, and in too many cases stay with abusive spouses or boyfriends and eventually suffer even greater harm and in some cases death adds fuel to the fire. Lastly, how does the NFL justify continuing to employ people accused of and/or convicted of domestic abuse while refusing to even give Colin Kaepernick, someone quilty of nothing other than exercising his constitutional right to protest, even a chance to win a job in training camp? Not a pretty picture or good situation for America’s most popular sports organization.